The holiday season can always be a stressful and hectic time. 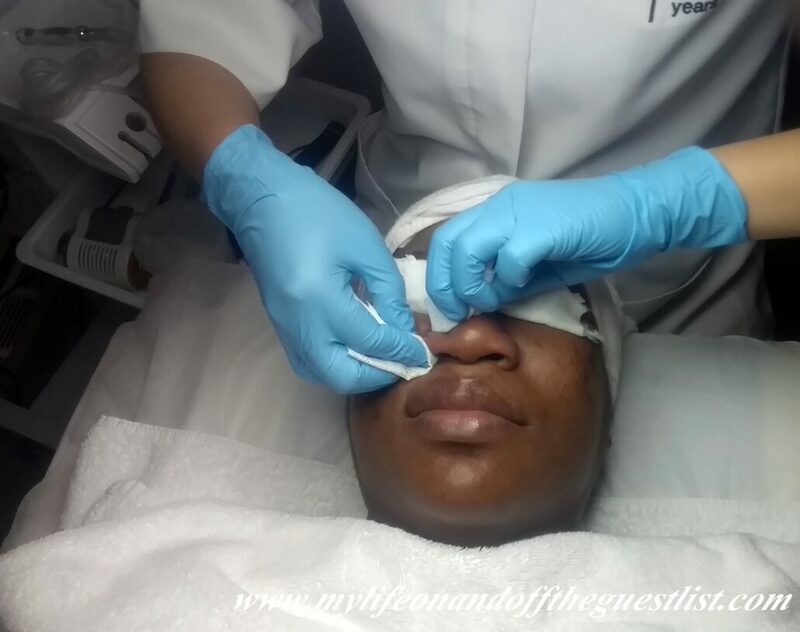 The stress can take its toll on your body and of course show on your face. 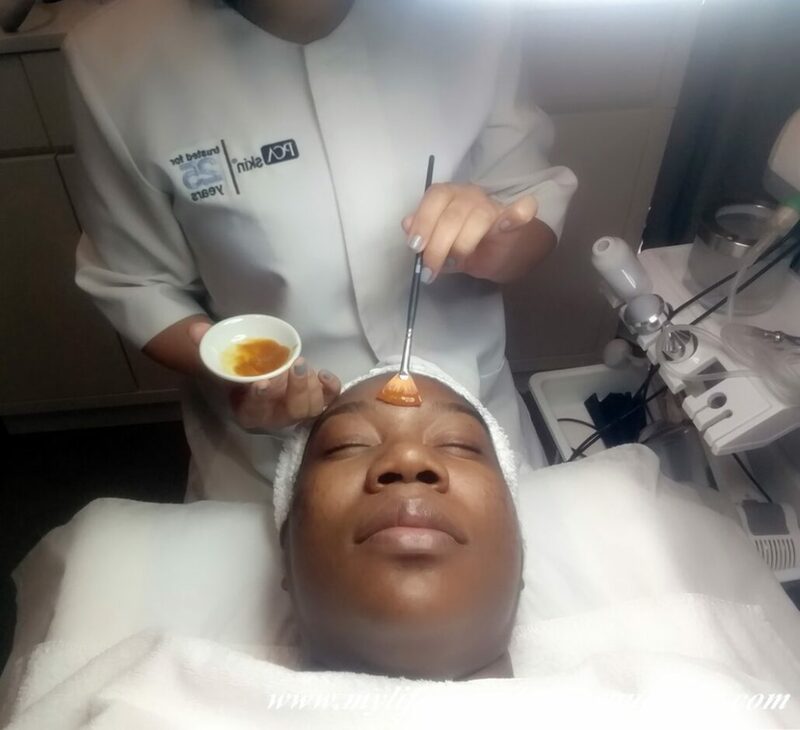 Just as we all need a holiday from work and the stresses of life, your skin deserves a holiday as well. 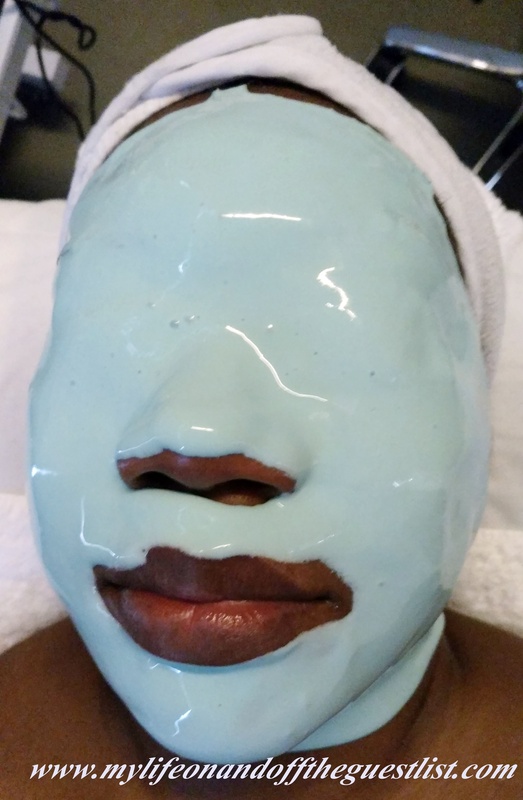 The quickest way to de-stress your skin is pampering it with renewing masks like these from international skincare brands, Eleni & Chris and Sand & Sky. 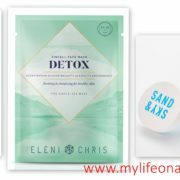 Say hello to enjoying a Scandinavian, and Australian glow with the revitalizing and energizing facial masks from Eleni & Chris and the detoxifying and brightening Sand and Sky. These renewing masks treat your skin to a much-needed escape from the stress and harsh temperatures of the holiday season. Revive and replenish your face with this cream-like soft touch mask that intensely hydrates the skin and balances your complexion. The ultra-fine long fiber Eleni & Chris Sincell Face Mask: Detox leaves your skin healthier with the help of Grapefruit Licorice Root and Oat Extract. 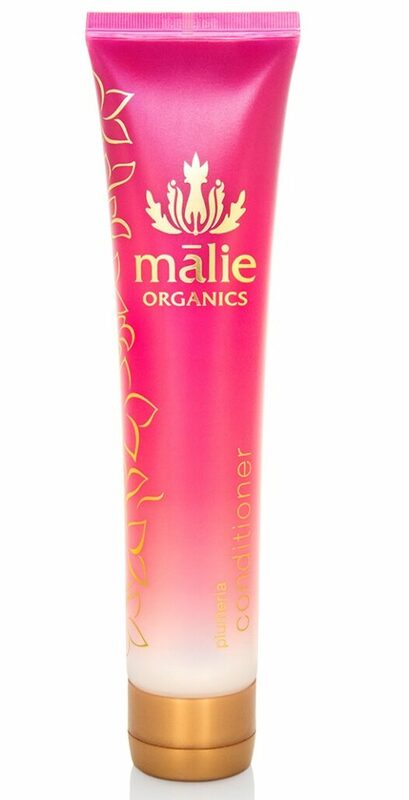 It revives, energizes, and protects your skin from toxins and free-radicals without removing your skin’s essential natural oils. 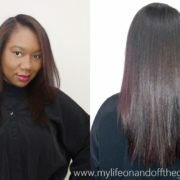 Get a single for $9.00 each or a set of six for $49.00 at www.eleniandchris.com. Treat your eyes to a new kind of indulgence with CAVIAR. 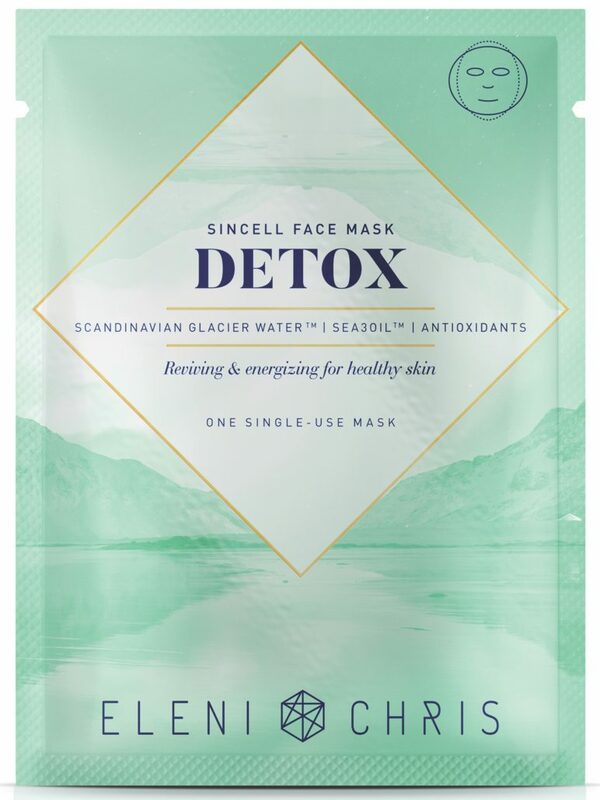 This eye sheet mask delivers unique Scandinavian ingredients in a bio-cellulose technology, which treats the skin around the eye to a new kind of indulgence. 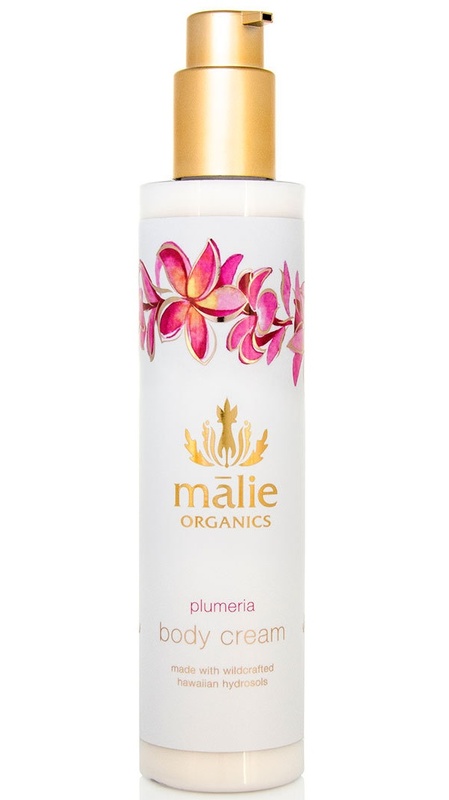 It leaves you with firmer, radiant skin with velvety soft and smooth touch. 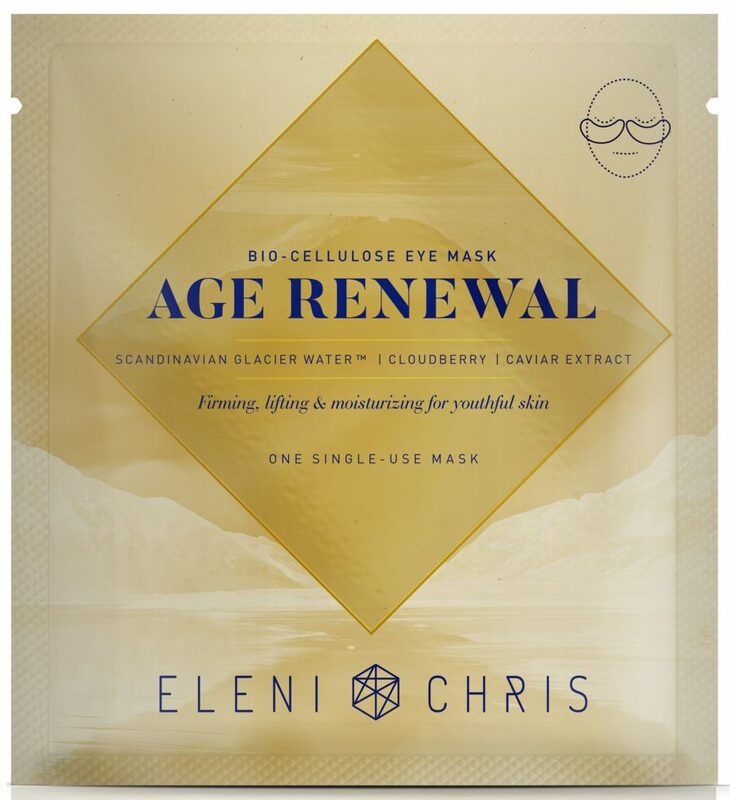 The Eleni & Chris Bio-Cellulose Age Renewal Eye Mask is proven to reduce and prevent wrinkles with the help of Cloudberry, Sea Fennel, and Japanese Cherry. Get a single for $8.00 each or a set of six for $44.00 at www.eleniandchris.com. This 4-in-1 Sand & Sky Brilliant Skin Purifying Pink Clay Mask brightens your skin in just 10 minutes. This botanical treatment mask works by combating pollution and minimizing excess oil while refining pores, regulating sebum and reducing pigmentation to reveal smooth skin with a glow with the first use. 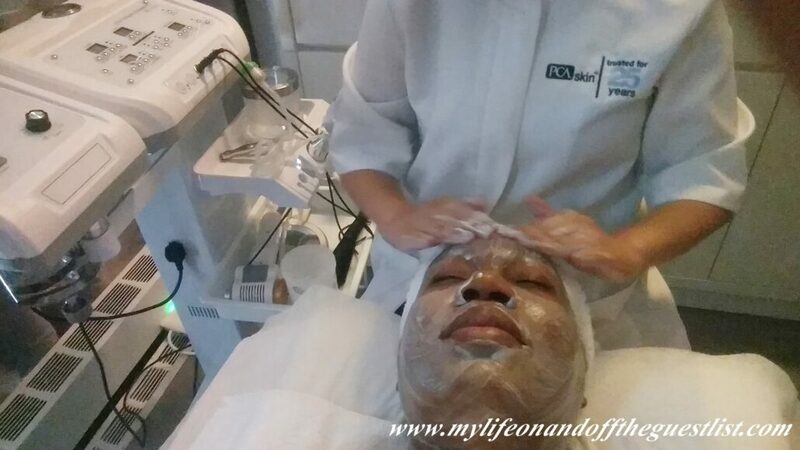 It can be used as an instant detox mask to draw out impurities, toxins, and pollutants from the skin. It comes with an application brush for mess-free application. 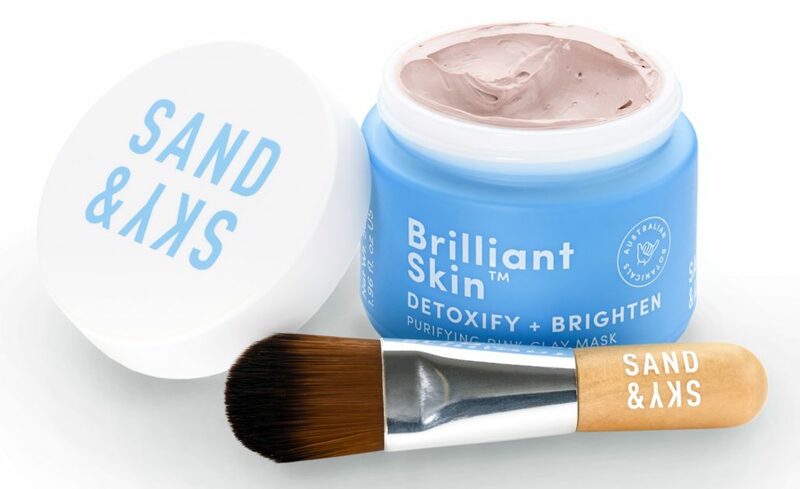 The Sand & Sky Brilliant Skin Purifying Pink Clay Mask is available for $49.00 at www.sandandsky.com. What are your thoughts on these renewing masks? Does your skin deserve a little holiday break? Tis’ the season for gift-giving and spreading cheer! As a beauty junkie ourselves, we can honestly say, gifting any beauty lover is probably the easiest thing you’ll do this holiday season. It doesn’t take much to make us happy. You can go the lazy route a give gift cards but we appreciate those gifts we receive that we’d absolutely buy for ourselves (or at least hope to buy). 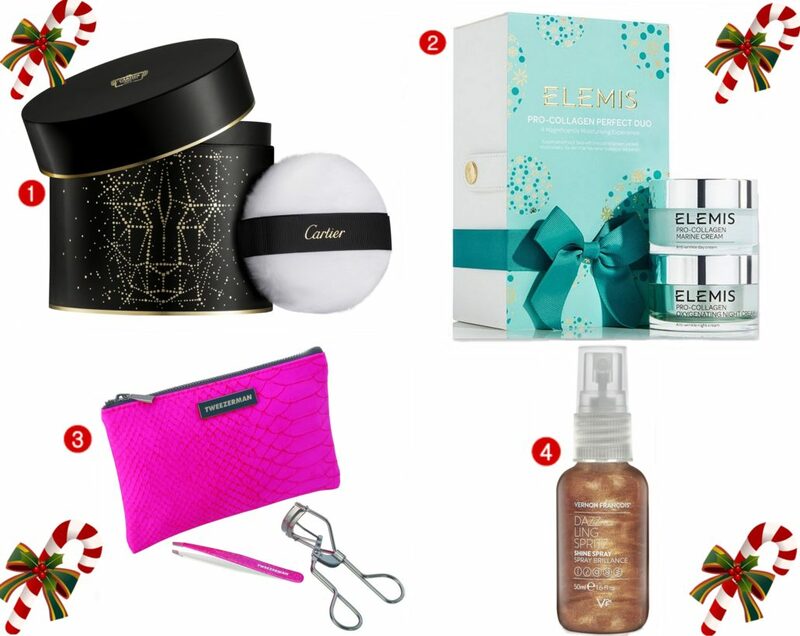 Today we are sharing some perfect holiday beauty gifts for those who love to pamper themselves (as we should all do). 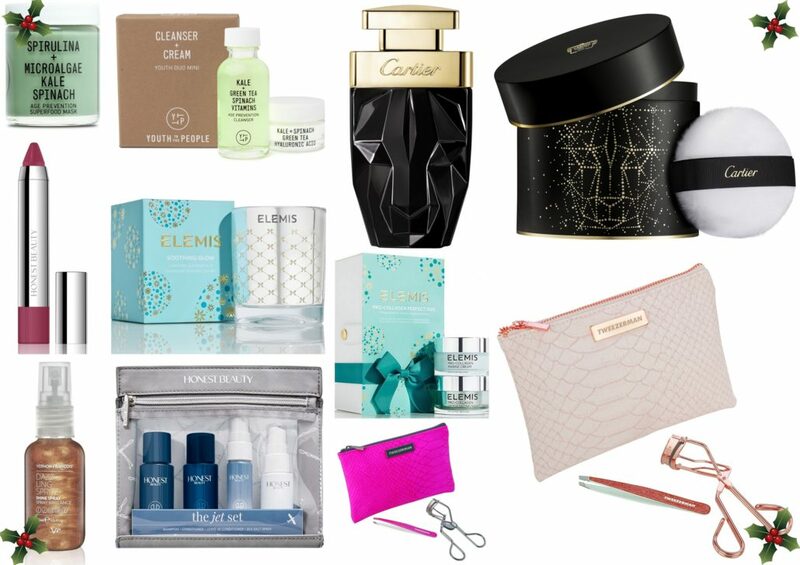 With the Holidays right around the corner, we wanted to share some holiday beauty gifts from Cartier, ELEMIS, Honest Beauty, Tweezerman, Vernon François, Honest Beauty, and Youth To The People, that are perfect presents for everyone on your list, especially the beauty lovers on your list. Honest Beauty Truly Kissable Lip Crayon in Mulberry Kiss ($18.00, www.Target.com). This perfect fall lip color makes a great stocking stuffer! 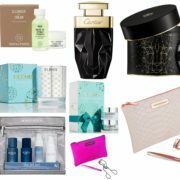 What are your thoughts on these holiday beauty gifts? 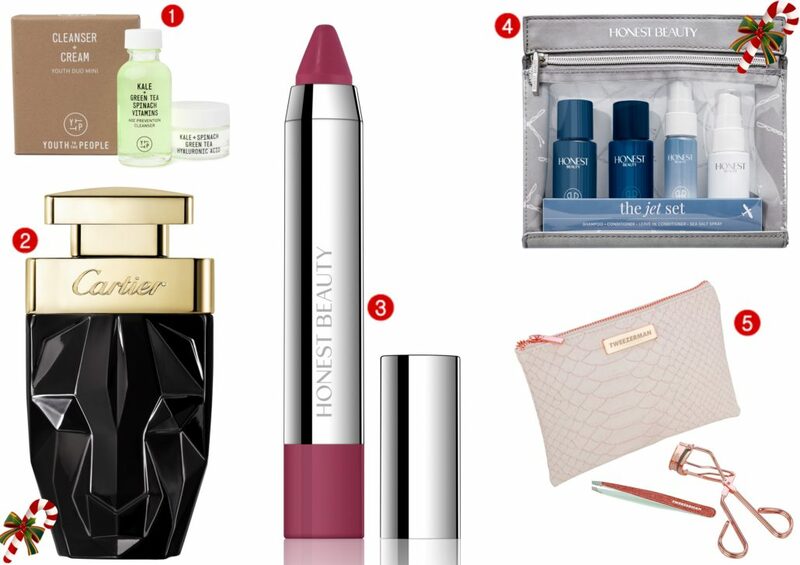 Who on your list would rejoice in holiday cheer at receiving these wonderful beauty products? What’s on your holiday wishlist? 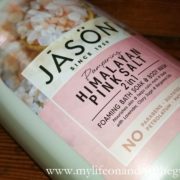 If there’s one thing we don’t do enough of, it’s treating ourselves to more pampering. Sometimes dealing with life’s ups and downs can make you forget to take care of yourself. I’m not talking about the basics like food, shelter, I mean rewarding yourself. We’ve been a bit on autopilot over here and we’ve forgotten about treating ourselves. Luckily we know some amazing people, like the Angelo David Salon, who remind you that you deserve a little pampering. So at the tail end of NYFW, I was treated to an afternoon of fabulous hair at the Angelo David Salon in midtown Manhattan. 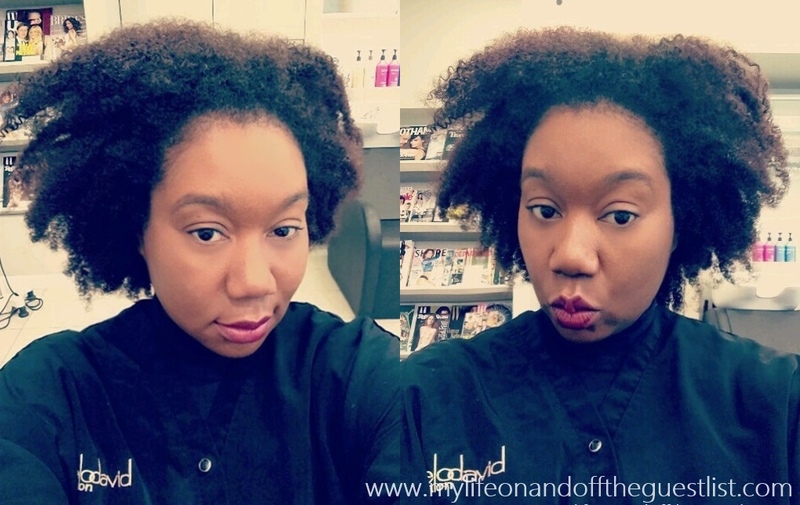 Don’t get me wrong, my natural hair is fabulous and amazing in its natural state (see photos below) but sometimes I want a different look; sometimes I desperately need a hair trim; sometimes I’m tired of doing my own hair and having my arms get tired from the day long routine of washing and styling. Again, this is about getting pampered, so someone else handling the task is always a welcomed treat. So taking a break from our daily top knot or low ponytail, the result of my fabulous hair at the Angelo David Salon is what you see above. Once again, our girl Ivy (pictured below), a staple everyone must visit at the Angelo David Salon, hooked us up with a head full of lush flowing locks and we left the salon in peak fabulousness. We advise everyone looking for great hair results book themselves an appointment for their own day of fabulous hair at the Angelo David Salon. Not only do they create wonderful experiences, Salon Owner Angelo David Pisacreta, world-renowned hairstylist and thinning hair expert, is known for his high-quality, luxury solutions to thinning hair, including highly-customized human-hair extensions, additions, fillers, wigs, and a genius at hair color. Along with his team of exceptional beauty specialists, like Ivy, they will fulfill your every hair need, no matter what it is. 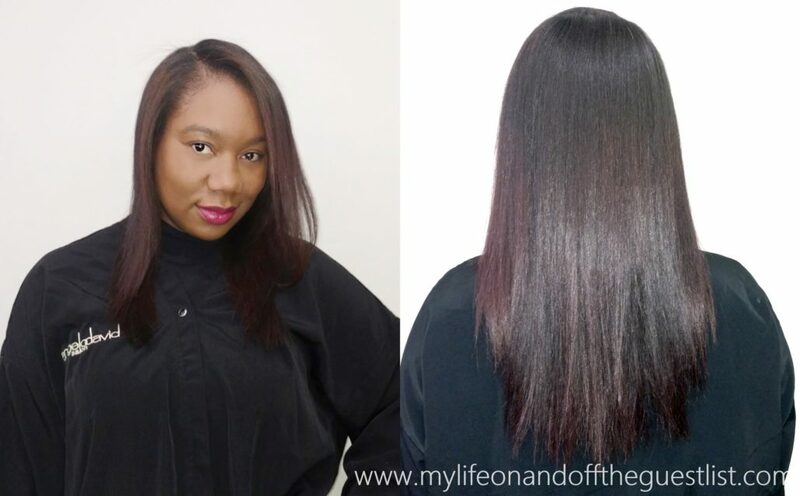 The Madison Avenue salon recently opened its Couture Hair Boutique, to showcase the range of extensions, wigs, and additions available to make it easier for clients to choose an option that suits them and their lifestyle. 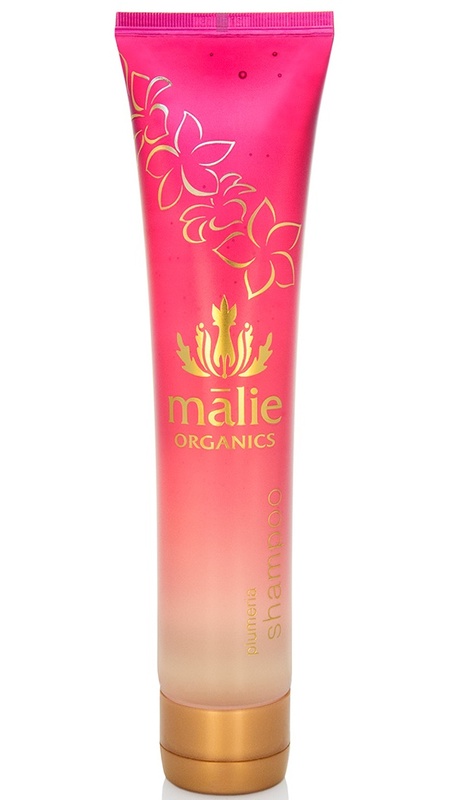 Could you use a little hair pampering right now? 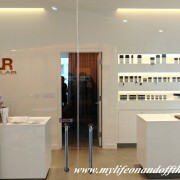 Are you ready to treat yourself fabulous hair at the Angelo David Salon? The day has finally come, today is the first day of Spa Week, the week-long event of affordable spa services. 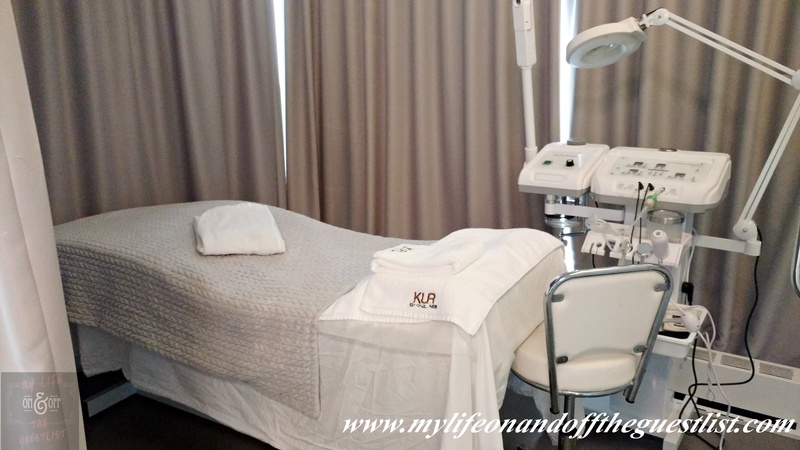 To take advantage of this bi-annual treat and indulge in an innovative solution to an issue we’re facing, we visited Eureka Body Care and Spa to indulge in one of their $50.00 treatments. In this tech-driven world, our lives may seem easier, more convenient, and grants us a more comfortable life and lifestyle, but it may also cause actual physical harm to our minds and bodies. For example, we spend most of our day working on our laptop updating our site, and post to social media while generally remaining in one position all day; because of this, we’ve found that we’ve gained weight in our midsection and developed back discomfort. 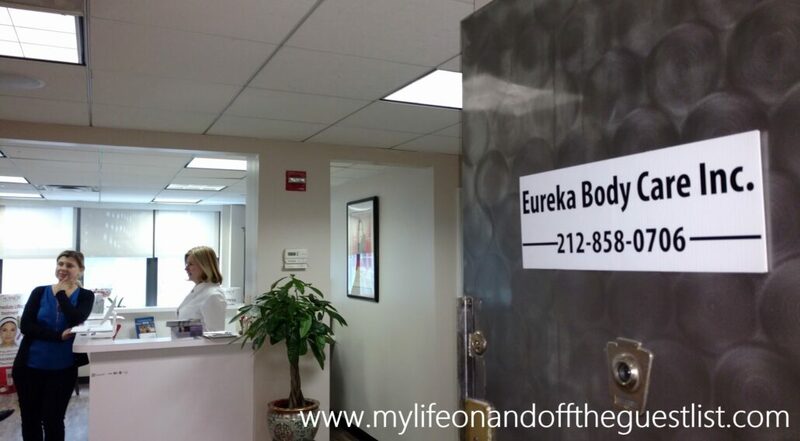 To help with at least one of those issues, we partook in Eureka Body Care and Spa’s Ultrasonic Cavitation Cellulite and Weight Loss Treatment. 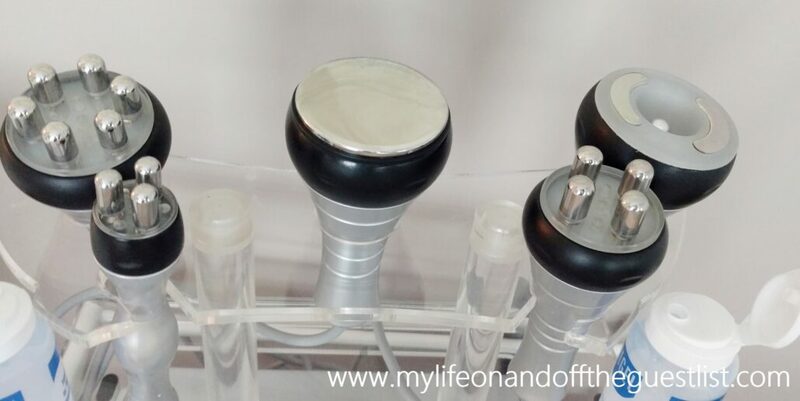 So what exactly is the Ultrasonic Cavitation Cellulite and Weight Loss Treatment? Don’t worry, there’s no fear of going under the knife. 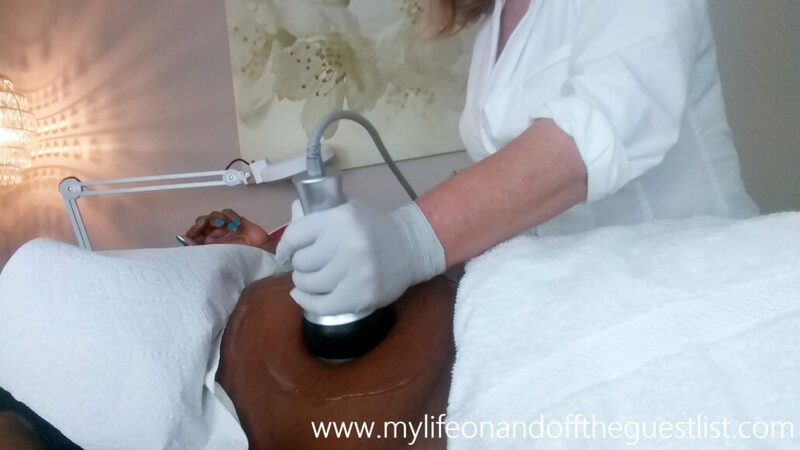 Ultrasonic Cavitation is an effective non-invasive method to break down fat deposits and reduce cellulite. We were still a bit apprehensive to try this but Eureka Body Care and Spa was so zen, serene and beautiful, we felt right at ease. 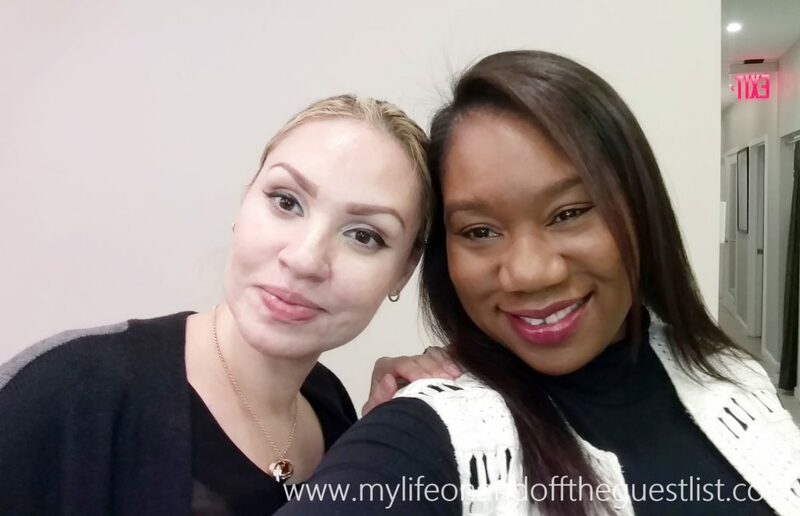 Tamara, who performed our treatment was so wonderful, informative and amazing at keeping me at ease prior to the procedure. The spa is quite new but it’s already caught the eye of several Hollywood insiders who visit before red carpet appearances. When you see our after results, you’ll see why. 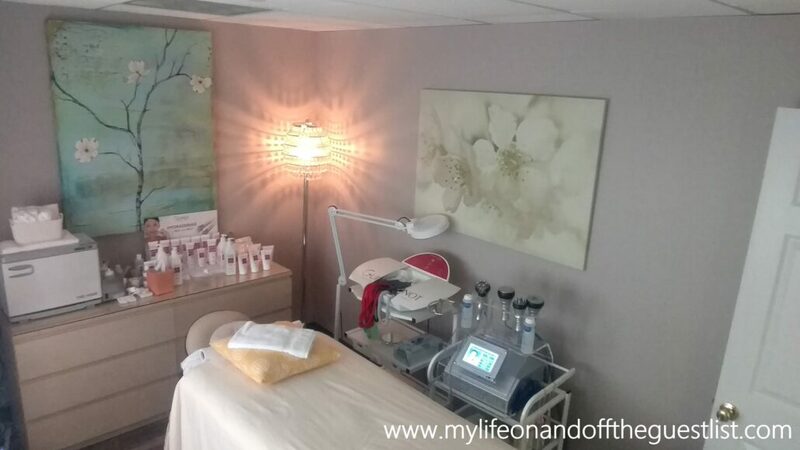 It turns out Ultrasonic Cavitation and Liposuction work in a similar way, without the thin, blunt-tipped tubes being inserted through tiny cuts in your skin (thank goodness). The device produces an ultrasound field that creates vibration in fat cells, which results in the cells heating up, and the cell membrane breaking down. We must tell you that as the machine is being used, it lets out a high-pitched sound that may lead you to believe you’re in a sci-fi movie (it’s kinda cool) and if you’ve ever gotten an ultrasound, you’re basically ready for this machine. 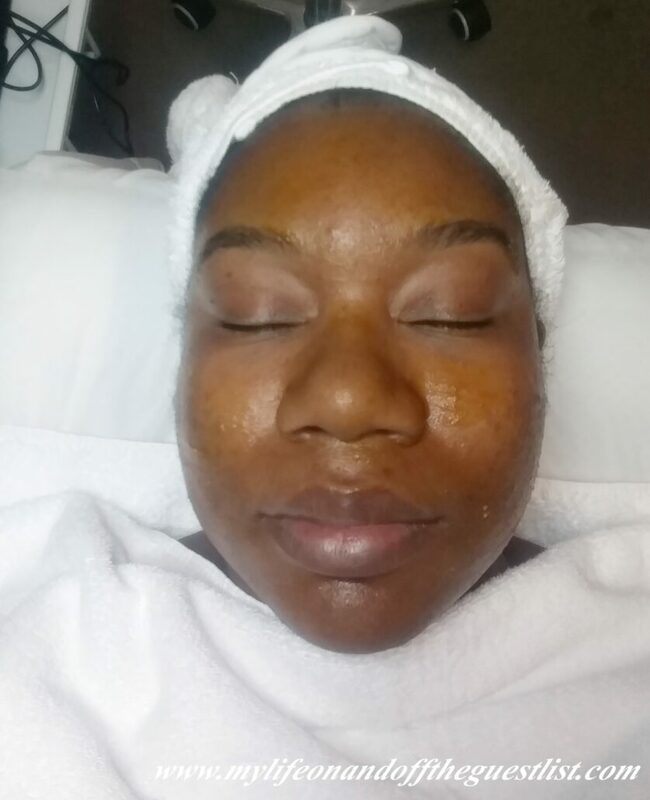 As you can see, there is no downtime or pain to this procedure and after just one treatment, much of our excess stomach fat was significantly diminished. 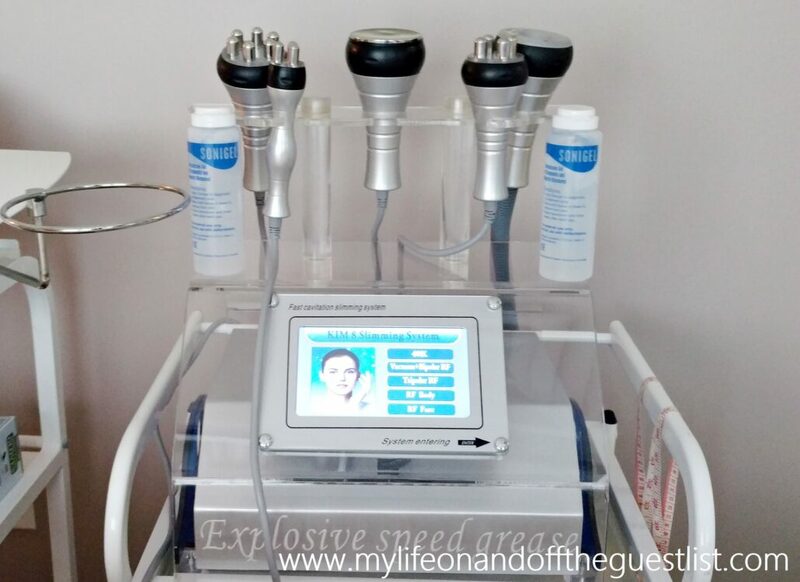 If you’ve tried every diet and form of workout or if you want to tone and tighten up, the noninvasive ultrasonic cavitation slimming treatment is the best way to lose inches and combat your cellulite. Along with their slimming treatments, laser hair removal using a new high-power, dual-wavelength diode laser only for “super hair removal” that is virtually pain-free. Starting today, until April 17th, Eureka Body Care and Spa is offering the following Spa Week Treatments, all at only $50.00 each. 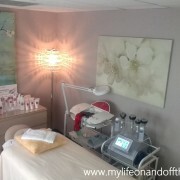 To book your Eureka Body Care and Spa treatment, visit www.spaweek.com. Did you know your feet are one of the most vital parts of your body and that the overall health and wellness of your body really begins on the bottom of your feet? Many illnesses can be diagnosed with just what’s going on with your feet; foot or heel pain not caused by heels, swollen feet, burning sensation in your feet, foot spasms, and other factors can be indicators of bigger problems happening in your body because nerves in our feet are connected to different areas of our bodies. These sudden foot indicators can highlight poor blood circulation, dehydration, or imbalances in our nutrient levels, plus all our body’s weight is put on our feet, so it’s very important to take care of them. As Spa Week approaches, we want to introduce you to Sheva Thai Spa New York, a stunning spa which boasts heavenly, traditional Thai spa treatments that will rid your body of all tensions and stress. If you’re like us, then you love walking the city (we’ve been known to walk 20+ blocks just enjoying being out and about taking in the sights), or maybe you work on your feet all day, or maybe you’re an avid runner. If any of these sound like you, then you need to visit this amazing spa. We had the pleasure of partaking in an indulgent (and much needed) Signature Sheva Foot Treatment with Thai Foot Soak at Sheva Thai Spa New York. 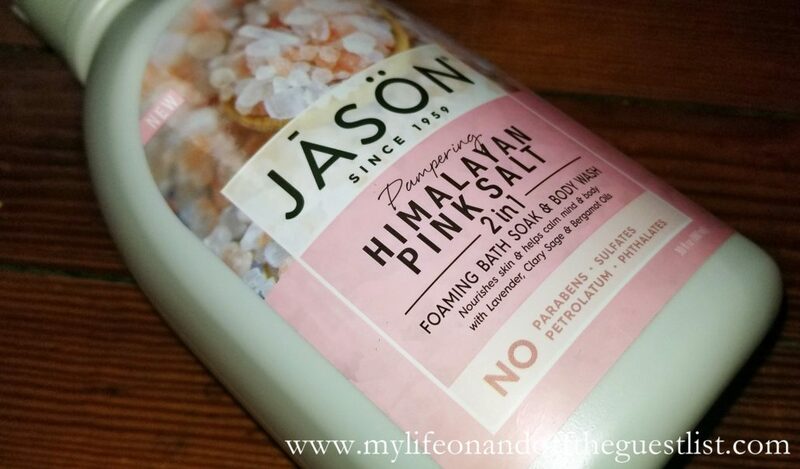 Get ready to enjoy a Thai foot soak using the finest blend of sea salts and essential oils to soothe achy muscles and joints to condition and soften the skin, followed by an organic sucrose and seed oil scrub to facilitate skin renewal and hydration followed by a detoxifying foot masque and hot towel wrap to eliminate toxins. 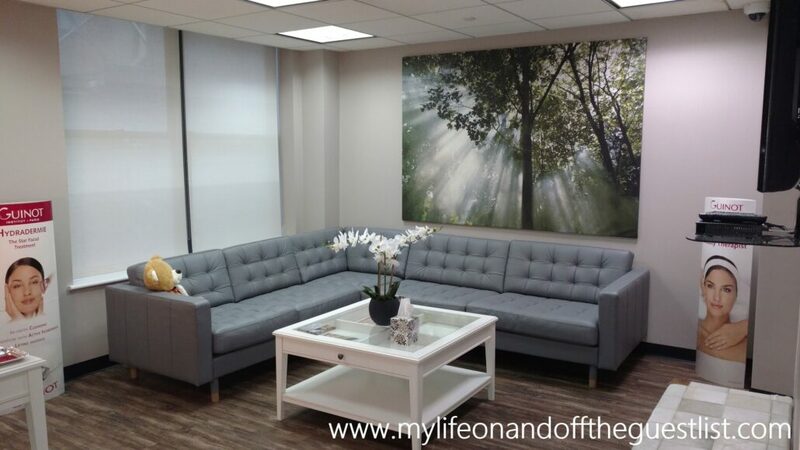 This Signature service ends with a 35-minute foot, hand & arm massage, utilizing ancient Thai techniques with the therapist targeting and relieving all your muscle tightness and discomfort, promoting full mind and body relaxation. This New York flagship, located at 500 Lexington Avenue, is the luxury Thai Spa’s first expansion outside of Asia. This express model of the spa is specifically designed with traditional Royal Thai method treatments, customized and abbreviated to service the busier schedules of New Yorkers while still providing the same level of relaxation and benefits of its Asian location. 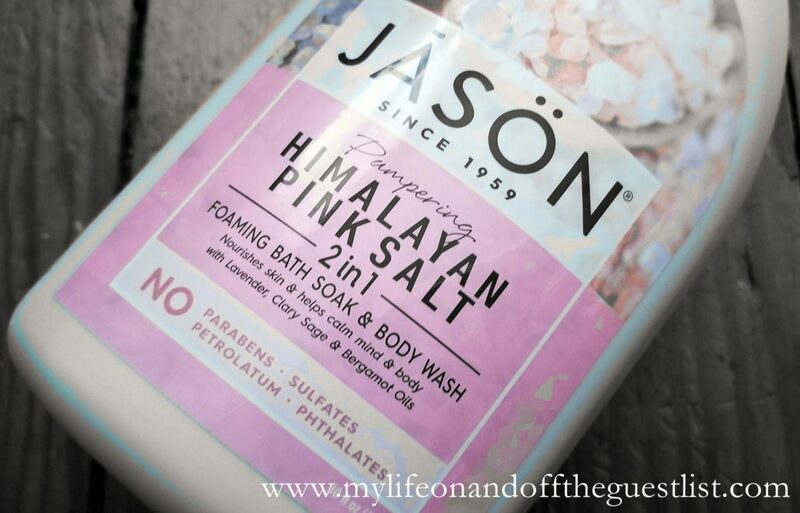 Could your feet use a bit of pampering? 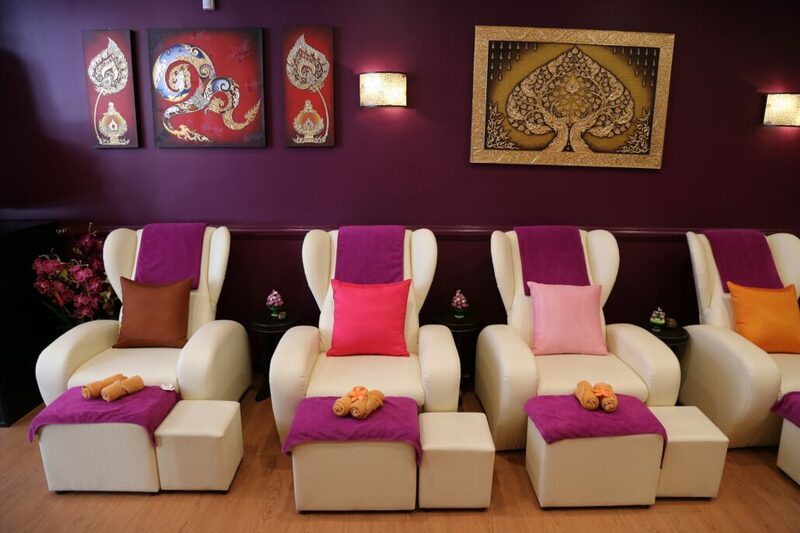 Will you be taking advantage of Spa Week’s $50 treatments at Sheva Thai Spa New York? Just in case you’ve forgotten to mark your calendars from our previous Countdown to Spa Week post, it is officially Spa Week. 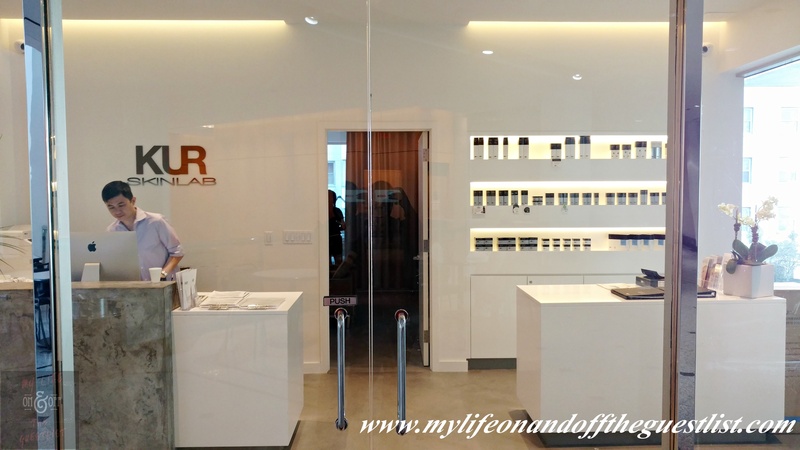 Naturally we took advantage of the $50 treatments and indulged in an amazingly decadent Fall Renewal Enzyme Peel Facial at the wonderful KUR SkinLab, an amazing skin care and wellness oasis in Midtown East, at 875 3rd Avenue, Suite M-101. 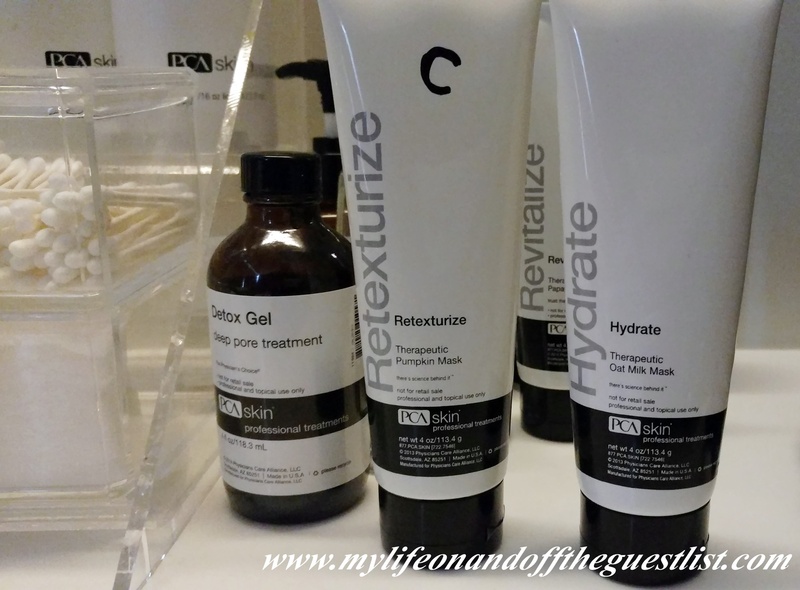 As previously stated, KUR SkinLab uses products to fit your skin’s needs, as my issue is with acne and enlarged pores, I was introduced to their range of RCA Skincare products, like the below Acne Control Regimen, which were used on my skin during my facial. 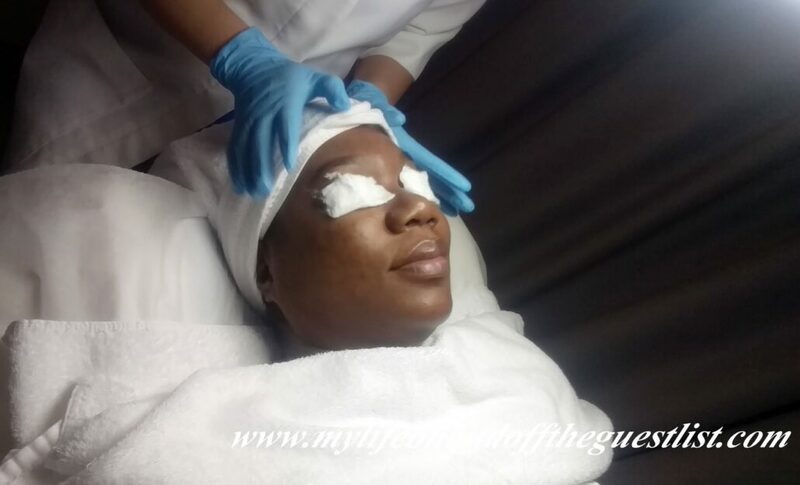 The range of skincare products are available for all skin types and you can create your own regimen according to your skin issues.